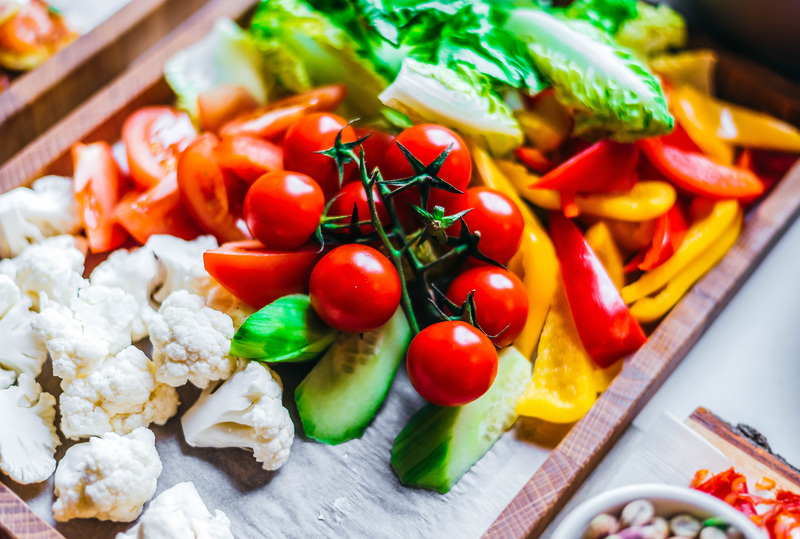 Spicy ‘n’ smoky is the name of the game for much classic Jamaican cuisine, with rainbow-bright Scotch bonnet peppers firing up everything from jerk chicken to curried goat. Throw in the national dish of ackee and saltfish, piping hot patties and aromatic Blue Mountain coffee, and you can see why Jamaicans are so passionate about mealtimes. Big on flavor and short on pretention, some of the best bites in the capital are found at no-frills joints (if you're looking for quintessential things to do in Kingston, digging in at a jerk shop should top your list). 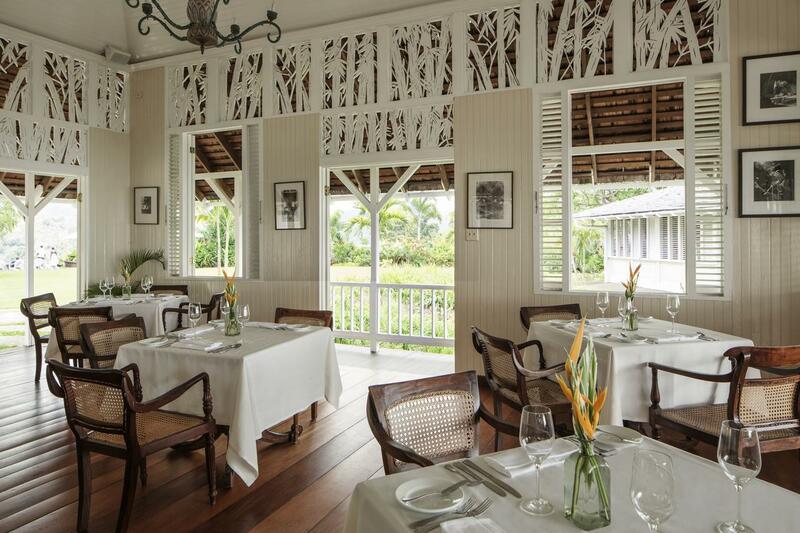 For a different experience, enjoy a languid lunch at one of the picturesque colonial properties overlooking the city, where fresh tropical produce is taken to new heights. 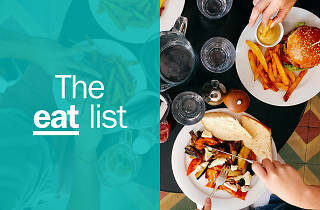 Kickstart your culinary adventure now with our pick of the best restaurants in Kingston. What is it? 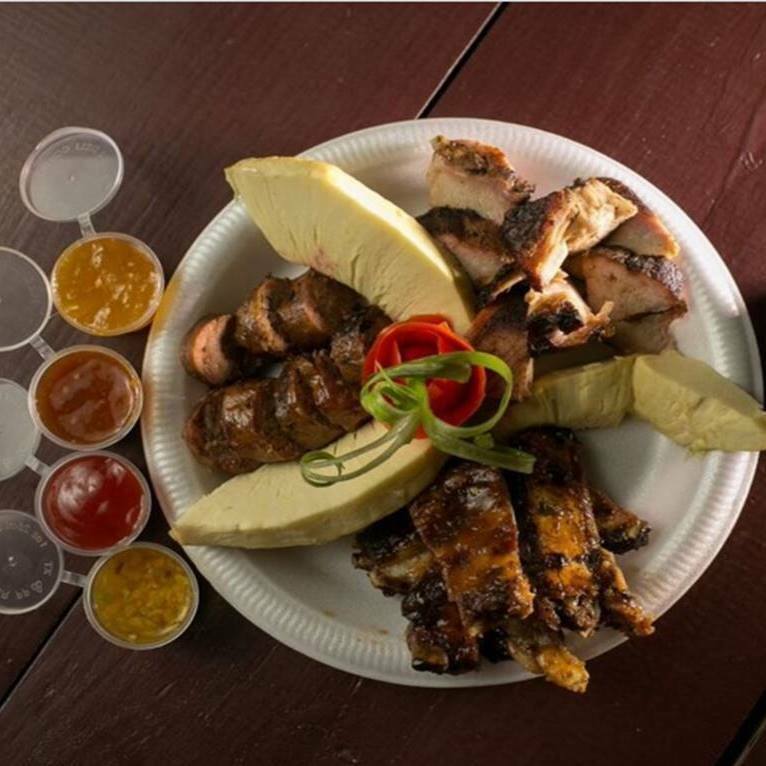 As the name (and mouthwatering aroma) suggests, it’s all about barbecued, spice-rubbed meats at this casual spot beside Emancipation Park. Why go? Get an authentic taste of one of Jamaica’s favourite dishes – jerk. 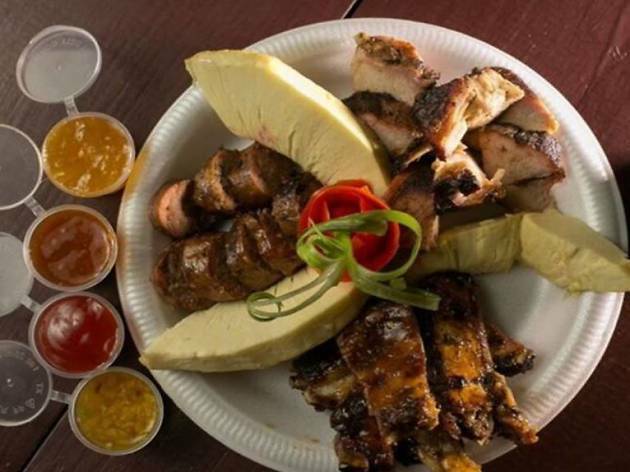 Pork and chicken are prepared the traditional way, on a barbecue over pimento wood, paired with equally tasty, charcoaled side dishes such as yam, breadfruit and corn. Sit back in one of the quirky barrel chairs and prepare for a finger lickin’ feast. What is it? Pull on your Sunday best for a sumptuous brunch or linger over a romantic supper on the wraparound veranda of this majestic mountaintop retreat owned by music producer Chris Blackwell. Why go? The bird’s-eye views of Kingston would be reason enough to visit, but Strawberry Hill’s food is equally incomparable. 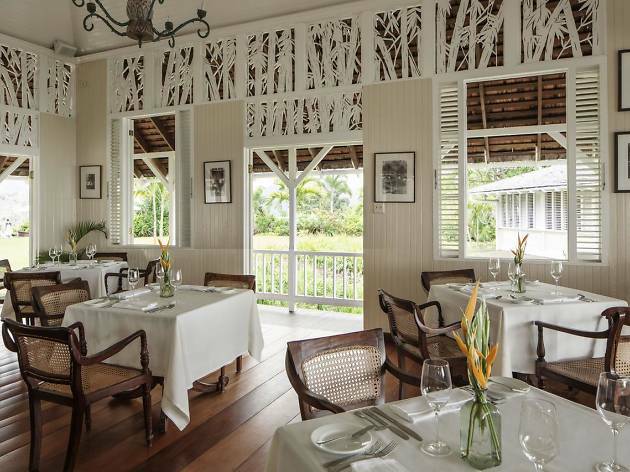 The ‘New Jamaican’ menu gives local farm-to-table ingredients a refined, contemporary treatment – think potato-wrapped snapper, quinoa and plantain salad and smoked ochi sausage with papaya chutney, followed by rum-glazed bread pudding. What is it? 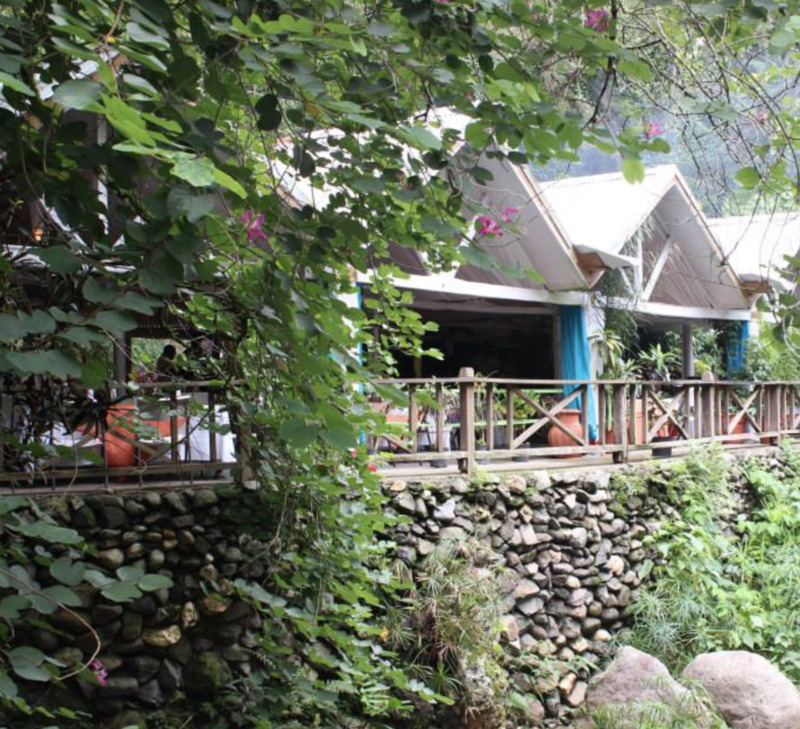 A quaint little gem of a café specialising in sweet treats and fresh pastries, tucked away in the gardens of a national heritage site. Why go? 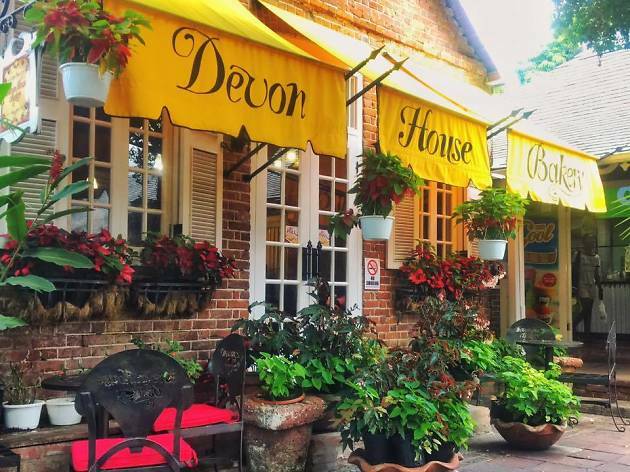 Behind the hanging baskets and cheerful yellow awnings, people make pilgrimages here to sample the famous lobster patties and house lemonade. It’s also home to the country’s best ice cream shop, where unique flavors include Devon Stout, made with the island’s dark stout beer. What is it? 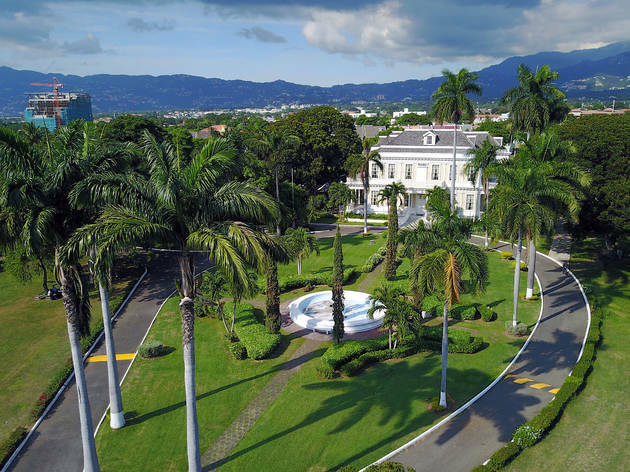 Escape the hustle and bustle of central Kingston at this verdant hillside garden. Why go? 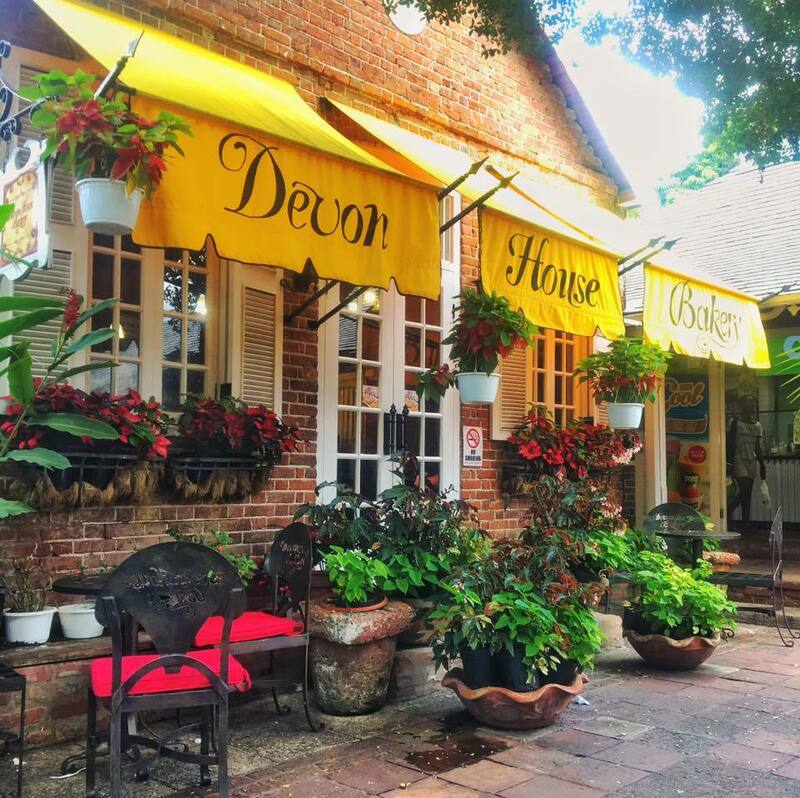 Located in Stony Hill, Boone Hall Oasis is best known for its epic brunch. 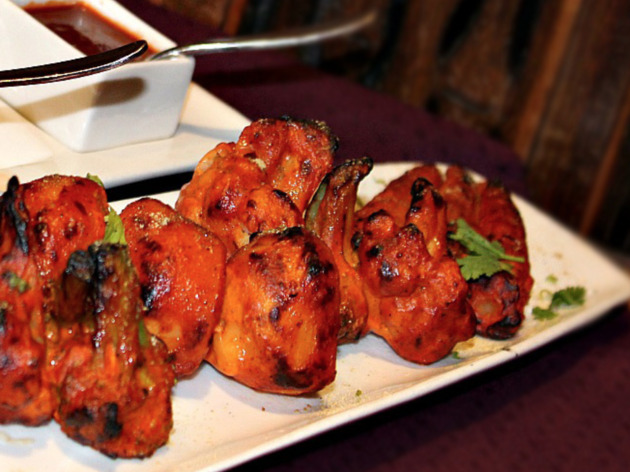 Tcuk into an ample buffet heaped high with seafood, various curries and sweet treats. 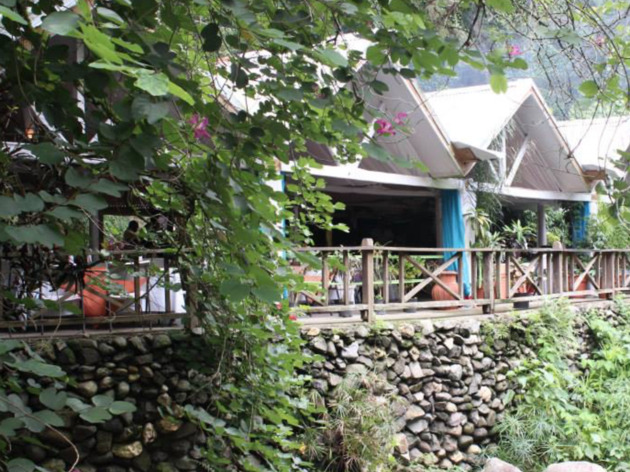 Then relax in the beautiful surrounds, taking in the fresh air, trees and nearby stream. What is it? 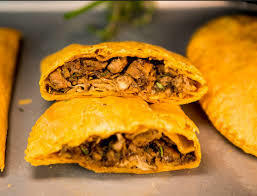 This hugely popular Jamaican chain does exactly what it says on the tin – mighty delicious patties. As a result, Tastee has been going strong for some 50 years. Why go? Flaky, turmeric pastry shells are packed with steaming fillings, with a choice of chicken, shrimp, vegetable or original beef. It’s clear from the queues of office workers and kids that Jamaicans have a serious thing for patties, and Tastee’s continually come up on top. What is it? Indo-Chinese creations served at an award-winning restaurant. Why go? Nirvanna has won 'Best Ethnic Restaurant' a number of years in a row at the Jamaica Observer Food Awards. If that isn't reason enough to go, then perhaps the menu will tempt you. Grab a seat in one of the booths for the best experience when tucking into plates of shrimp tempura, papaya and chilli salad, and a fish tikka with a hint of mint. What is it? 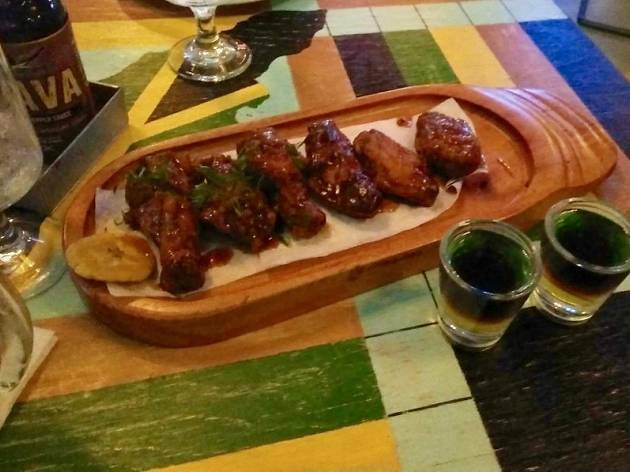 Never fear, veggies – there isn’t a jerk wing in sight at this New Kingston restaurant. Instead, the menu is a homage to fresh fruit and vegetables. Why go? 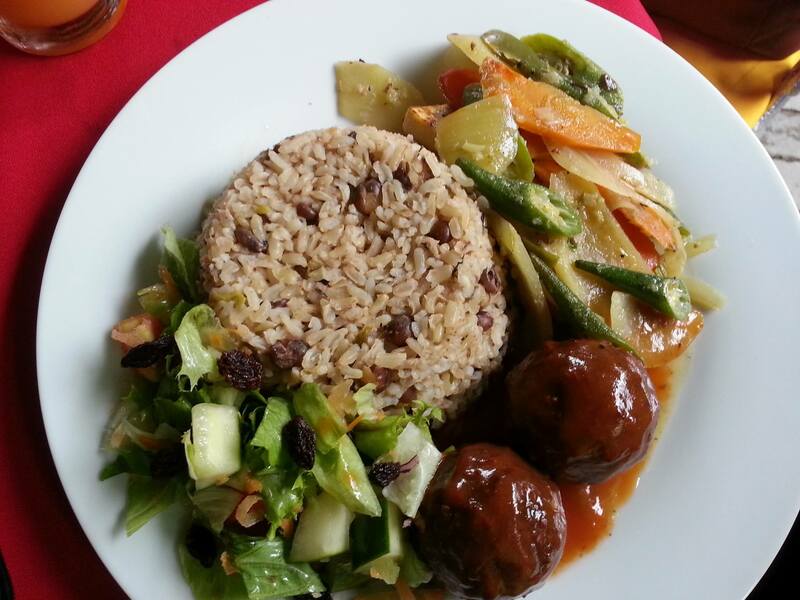 One of the best selections of meat-free dishes in Jamaica, you can begin with vegetable samosas and hot pepper soup, then move onto mains like curried tofu main with jollof rice or roti flatbreads. 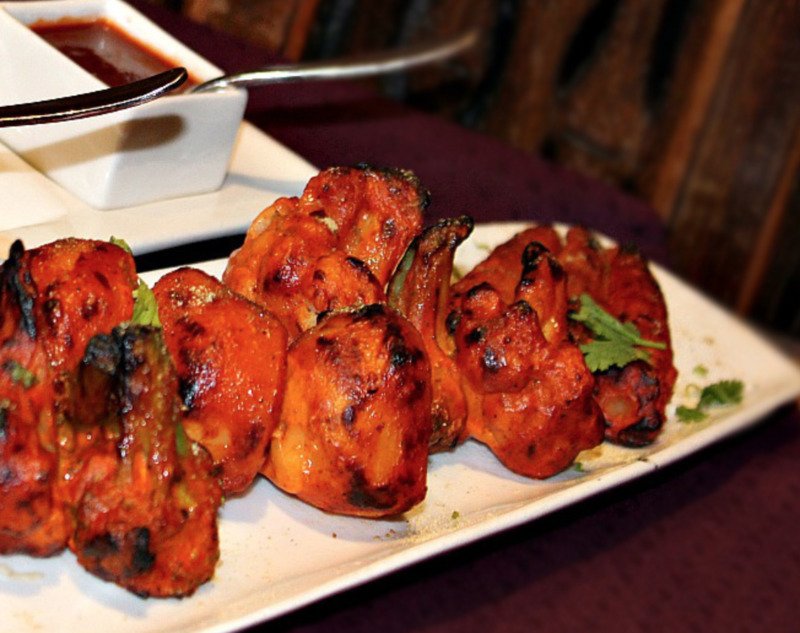 Its spicy fusion offerings show that food without a face needn’t mean scrimping on flavour. What is it? 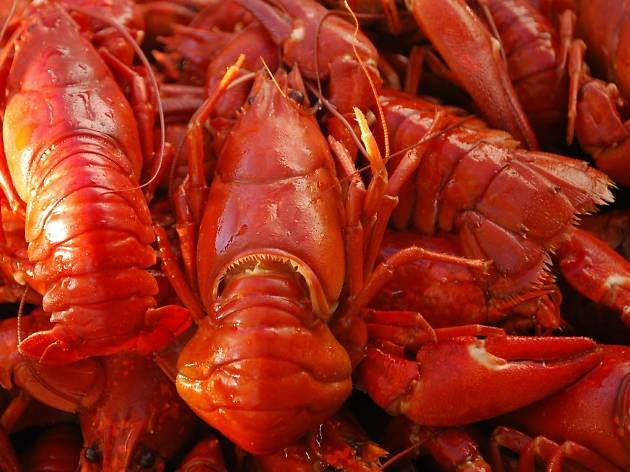 This seafood grill is anything but so-so. Having started life over two decades ago as a fry-up for friends, it's grown into one of the best fish joints in New Kingston. Why go? The catches fo the day are ridiculously fresh and come in all manner of ways – curried, grilled, stewed, peppered… You name it and they'll likely cook it up. Don't go in a rush, however, as dishes are made to order and they are quite relaxed about it. You may want to grab a drink at the connecting bar, the Phoenix Lounge. What is it? Another vegan eatery boasting rave reviews. Its signature dish is the ‘pleaza’ – a base of seeds and grains, loaded with crunchy veg and sundried-tomatoes. Why go? 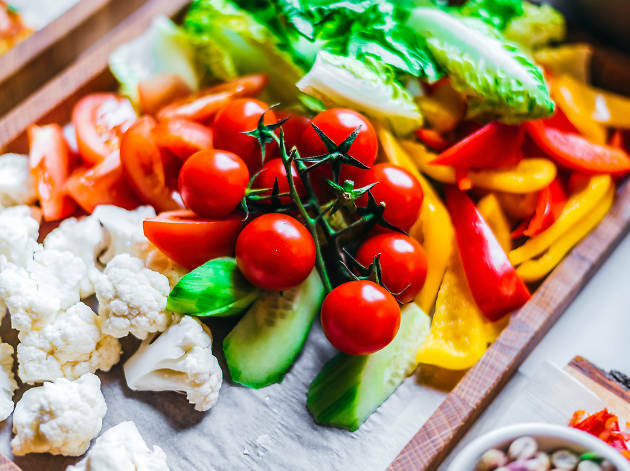 The words ‘raw vegan fare’ might not get your mouth watering, but you’ll be amazed by the vibrant, imaginative dishes Mi Hungry dreams up. Light and healthy specialties (fresh juices and salads are strong too) come as a welcome palate-cleanser after a few days of patties and beers. What is it? Usain doesn’t just smash Olympic records, you know; he runs a darn good sports bar, too. Why go? 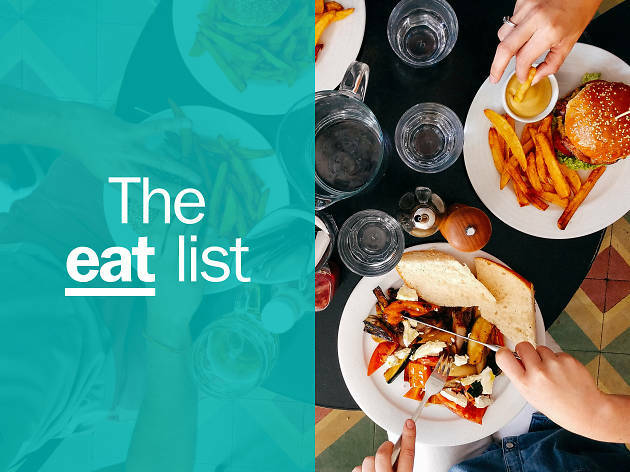 This huge venue (the original flagship in a rapidly growing franchise) blends hearty, flavorsome dishes such as jerked sausage or fish sandwiches with good music and, of course, lots of screens playing sporting fixtures. Like the man himself, the vibe is convivial and cool. 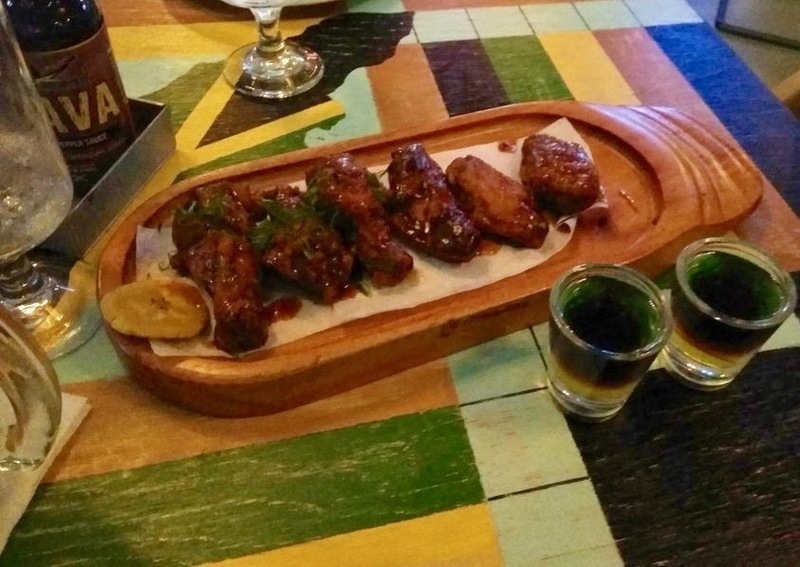 Hungry for adventure in Kingston? Between the Blue Mountains and a sweeping natural harbor, Kingston is the seething heart and soul of Jamaica. Not only is this the business and government capital, it’s a cultural powerhouse with no end of art galleries, heritage houses, diverse restaurants and iconic recording studios.